The major task before the House of Representatives as it reconvened last Tuesday, is achieving the goal of ensuring the passage of the 2018 Appropriation Bill before the end of the year. The executive arm often blamed for the late passage of the bill, because of late presentation, has expressed readiness to present the draft copy early enough to the lawmakers for consideration. Two key operatives of the executive arm, the Director General, Budget Office of the federation, Ben Akabueze and the National Assembly Presidential Liaison Officer (Senate), Ita Enang have given assurances that the budgetary proposal would be submitted in October this year. With the country’s exit from recession, it has been argued that a seamless and timely passage of the budget would lead to a boost in economic activities in the country and also avert financial losses suffered by the country over the years. The country is said to have lost about $640.61 million in foreign capital inflow in the last quarter of 2017 as against the projected $1.46 billion due to the late passage of the 2017 budget Bill. Power squabble between the executive and legislature had been blamed for the delay in the passage of the budget since the return to democratic rule in 1999. For instance, the 2011 budget was passed on March 25th of that year while that of the following year was passed on March 14, 2012. For the 2013 budget, the lawmakers passed it on December 20, 2012 and it was signed into law by former President Goodluck Jonathan in February 2013, while the 2014, 2015 and 2016 budgets were signed in May of the respective years. 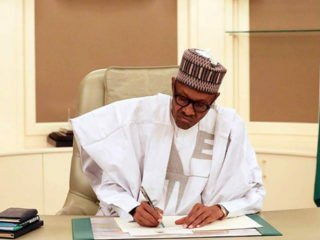 Apparently to avert a re-occurence of the problem, Chairman of the House Committee on Legislative Budget and Research, Timothy Gold has called on President Buhari to speedily assent to the National Assembly Budget and Research Office (NABRO) to nip the problem in the bud. Noting that assenting to the bill would provide a strong and transparent budgetary process; he explained that once the bill becomes operational, there would be the required checks and balances on the budgetary process. Gold, who represents Pankshin/Kanke/Kanan federal constituency of Plateau State argued that: “As soon as NABRO comes on board, it will have the responsibility to scrutinize the budget, be involved in the selection of projects and end this method of a ministry or an MDA deciding to award a project to any state without having in mind the need assessment of that state or even the criteria used in allocating those projects. Besides the pursuit of passing key legislations and motions required to reposition the country, the lawmakers are expected to exercise oversight function on the implementation of the 2017 budget. Among the pending bills requiring the attention of the lawmakers is the controversial Petroleum Industry Bill required repositioning the country’s economy. The bill seeks to provide governance and institutional framework for Nigeria’s petroleum industry. Among other key objectives, the bill also promises to repeal the NNPC Act, and replace it with “commercially oriented and profit-driven” petroleum companies to be incorporated by the government. There are hints that the House would leave no stone unturned in ensuring the passage of the Whistle Blower’s Protection Bill which could strengthen the on-going war against corrupt practices in the polity. 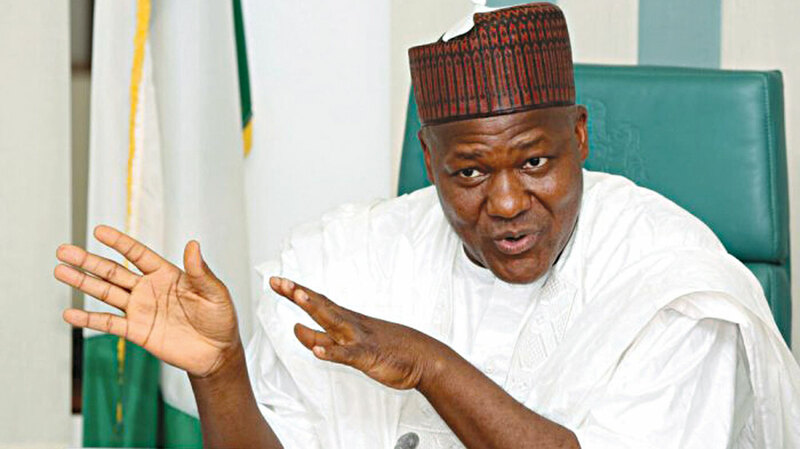 Dogara has promised to ensure the passage of the proposed legislation to not only protect the whistle blower but also to prevent abuse of the policy. It has been argued that the enactment of the law will serve as a vehicle for the investigation of alleged corruption and misuse of power by public servants or their private collaborators and to provide adequate safeguards against victimization of the person making such complaint. However, the bill seeking to regulate the activities of Non-Governmental Organizations (NGOs), which is to be considered by the lawmakers, has drawn the flaks of NGOs across the land. One of the NGO’s, Socio-Economic Rights and Accountability Project (SERAP) had in a petition to three UN Special Rapporteurs kicked against the regulation bill. While urging the Special Rapporteurs to “prevail on Buhari not to sign the bill into law; the group accused the House of plotting to weaken and delegitimize the work of independent and credible civil society. SERAP is also concerned that the proposed bill is coming at a time the members of the National Assembly are proposing amnesty and immunity for themselves against prosecution for corruption and other economic crimes; and the government is proposing a social media policy to restrict and undermine citizens’ access to the social media ahead of the general elections in 2019. The group alleged: “If adopted, the bill which is copied from repressive countries like Somalia, Ethiopia and Uganda, would have a chilling effect not only on expressions of peaceful dissent by the citizens but also on the legitimate work of NGOs and individual human rights defenders and activists scrutinizing corruption in the National Assembly and exposing human rights violations by the government. “By including civil society in general, the bill will also undermine both section 22 of the 1999 Nigerian Constitution and Article 13 of the UN Convention against Corruption, both of which have given the media a critical role to ensure that the government, at all levels, is accountable to the citizenry. But the sponsor of the bill who is the Deputy Majority Leader of the House, Umar Buba Jibril who said he is aware of the barrage of criticism on the bill has cleared the air on issues raised. He maintained that the NGOs bill was primarily aimed at setting up a commission to regulate their activities and provide a platform for robust relationships between them and the government for the interests of Nigerians. He alleged that some NGOs collected funds from foreign sponsors in fraudulent circumstances and added that Churches, Mosques, Esusu, Market Women Associations would not be covered by the proposed legislation. Frowning at those who failed to see anything good in the bill, he noted that recent developments have shown that some people registered NGOs, solicited for funds and disappeared. 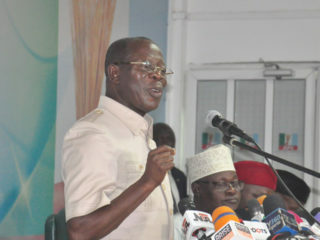 He said, “Recently in the North East some NGOs were used to fund activities of terrorist and insurgents! The NGOs bill is not new or peculiar to Nigeria. It exists in many countries particularly in the ECOWAS sub-region and all over Africa and other continents. In Europe, Israel passed theirs last year! Kenya has a similar law since 1990! Nigeria is and should not be a banana republic where anything goes. “Finally, the way the NGOs are reacting to this wonderful and well packaged bill, particularly SERAP, is not only shameful but condemnable. The Nigerian parliament is an institution governed by rules and traditions. The lawmakers who had maintained a studied silence when they were on vacation are billed to lend their voices to the spate of divisive and hate speeches that permeated the polity in recent weeks. This includes the face-off between the members of the Indigenous Peoples of Biafra (IPOB) and the federal government. The Executive Director of the Civil Society Legislative Advocacy Center (CISLAC), Auwal Ibrahim Musa enjoined the lawmakers to not only put in place mechanism to strengthen the unity of the country but work assiduously to tackle the appalling level of poverty among Nigerians. 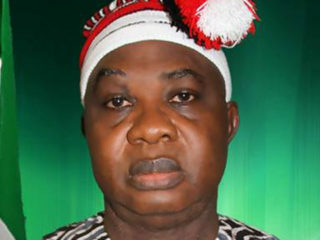 According to him, “The legislators need to work round the clock so that Nigerians can appreciate them. It is important they carry out their oversight functions in a manner that would be beneficial to Nigerians. “They have to ensure the implementation of the budget because Nigerians who went through the pains of the hardship caused by the recession need to see changes. They must deviate from those things that are tantamount to harassment and intimidation and witch-hunting people of those they oversight the ministries, departments and agencies of government.